Price is for 7 shafts 4-PW, lengths 39.5" (4-iron) through 36.5" (PW) in half inch increments. If you would like a different makeup or additional shafts please contact us directly. The new XP Series from True Temper brings your game inside the ropes by delivering explosive power and distance to every iron in the bag. Robot and player testing has shown an average of 6-8 yards improvement in carry distance with many players seeing double-digit yardage gains. 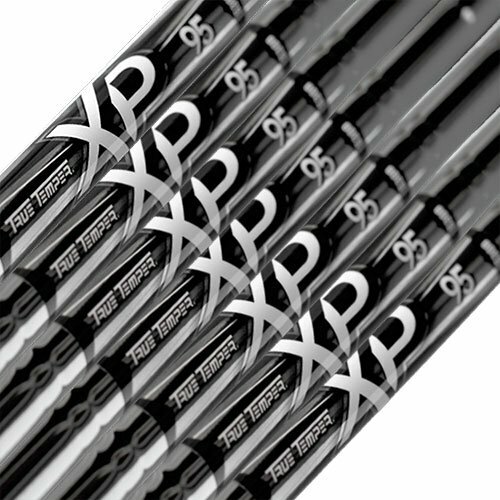 Featuring optimized trajectory in a superlight weight design, the XP shafts are engineered to be the longest and most forgiving steel iron shafts in the game today. XP 95 is an Ultralight shaft (under 100g) designed to deliver maximum peak trajectory for explosive distance.